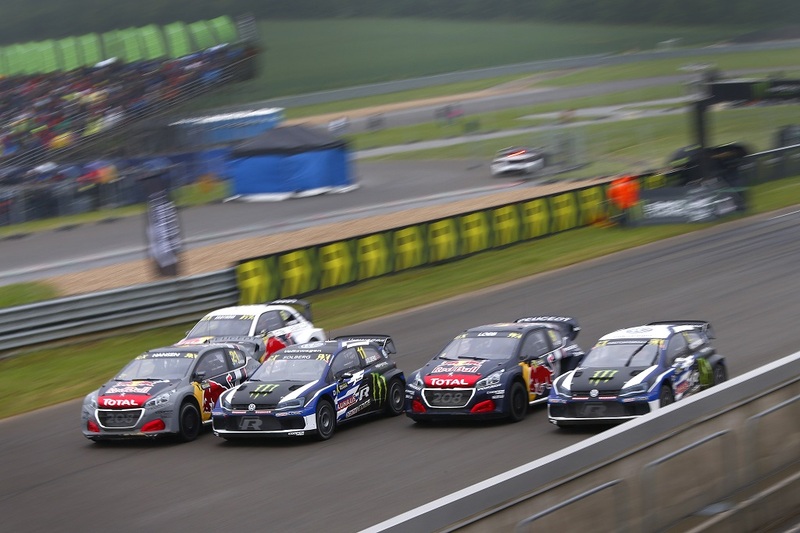 On May 12-13, the 3rd round of the FIA Rallycross World Cup at Mettet RX took place. Everyone was wondering if Kristoffersson would beat his own record and win again in the World Cup round. To the successful, last performance in the DTM Mattias Ekstrom was hungry for victories! Many people also put on Bakkerund and Hansen! Mattias Ekström left his rivals behind in Mettet. The Audi driver proved to be 0.305 second faster than Petter Solberg, 0.417 from Johan Kristoffersson. Audi was the only one in the training race to overtake Volkswagen Polo. Timmy Hansen made a flying start at Mettet with 3rd and 2nd positions in Q1 and Q2 respectively. On a roll, he scored the top spot in Q3, 7th in Q4, and endedup 2nd overall of the qualifiers. Kevin Hansen put on a great display of his talent throughout the weekend, delivering some promising performances and great times in Q1 (5th) and Q2 (6th). He started Q3 in strong form – grabbing the holeshot with his distinctive yellow #peugeot 208 WRX – and led all the race, however a costly mistake on his joker in the final lap – he stalled the engine – meant he ended-up 15th. In 10th position in Q4, and overall 9th out of the qualifiers. The fastest in the fourth qualifying, Mattias Ekström opens the table before the World RX of Belgium semi-finals. “Eki” overtook Timmy Hansen by 9 points, Johan Kristoffersson. Sébastien Loeb was promoted to the fourth place – the second in Q4. Petter Solberg fell to the fifth. Johan Kristoffersson and Sébastien Loeb won the semi-finals at Mettet. Petter Solberg and Mattias Ekström were also promoted from the first race, followed by Andreas Bakkerud and Timmy Hansen. Kristoffersson controlled the situation in the first semi-final. Mattias Ekströn, starting from the pole position, immediately turned to Joker Lap. Petter Solberg kept second after passing the longer loop. Kristoffersson and Kevin Hansen scored Joker Lap on the penultimate lap. The second semi-final brought Sébastien Loeb, the leader from the first lap. Baumanis and Timmy Hansen traveled Joker Lap on the second, Loeb and Bakkerud on the third lap. Timur Timercjan was in the top three – to pass Joker Lap on the 5th round. 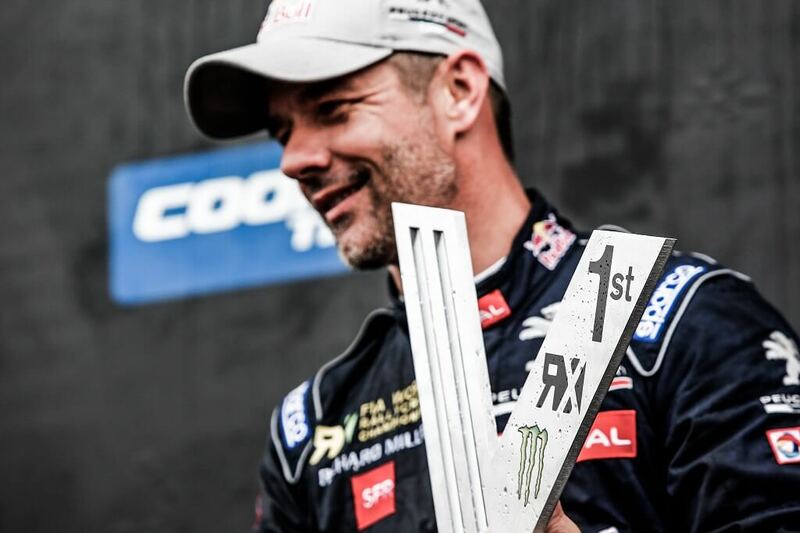 19 months we had to wait for the second victory of Sébastien Loeb! Kristoffersson and Mattias Ekström had minor problems in the first corner during final race. 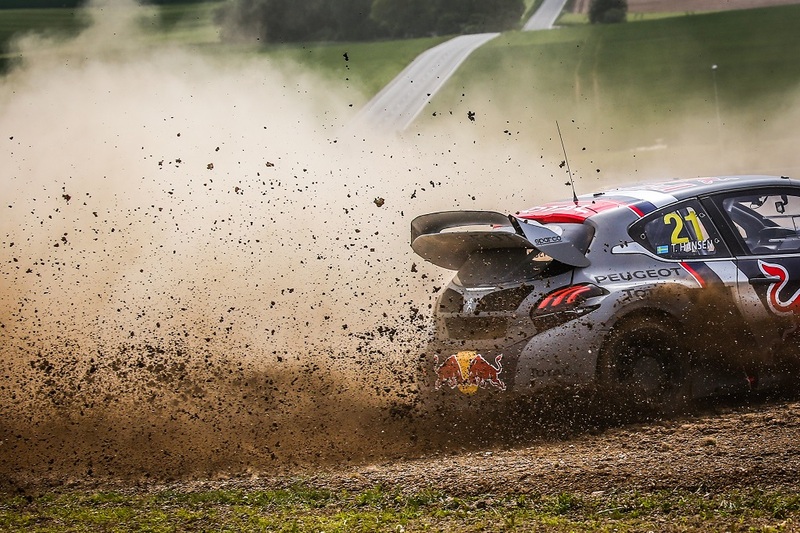 Sebastian Loeb took advantage of this and moved forward. 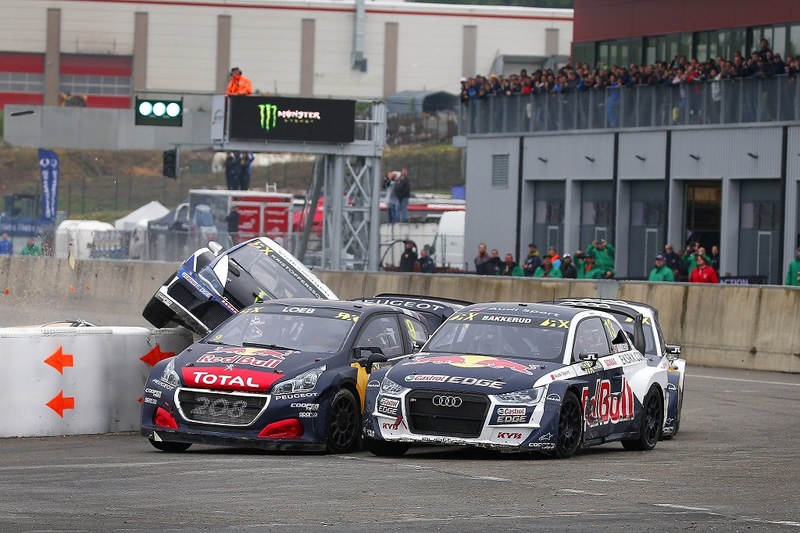 The driver lost them to Mattias Ekström after passing the joker lap on the fourth lap. It all depended on the last lap in which Ekström had to use the joker lap. To Loeb’s surprise, he managed to win and keep the first position. Swedish Driver of the Audi S1 went to the fourth position. The second place went to Petter Solberg, who lose only 0.4 seconds to the opponent. One second later, Timmy Hansen arrived, securing a place on the podium! Sweden’s Kristoffersson was fifth and continues to lead the World RX Drivers’ Championship, nine points ahead of Loeb, who moved up to second with his Belgian victory.